Electro OpticTM Die Cutting Technology – Enhanced die levelness, consistency and longevity for optimal performance on the thinnest films and the most abrasive materials. 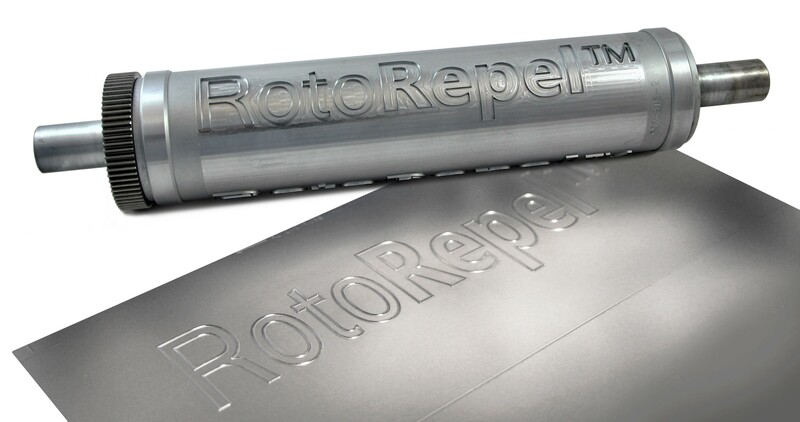 RotoRepelTM and RotoRepelTM Rx – Industry’s #1 no-stick treatment now offers enhanced performance benefits so presses run faster plus a formulation on file with the US FDA. Safe for intended use on converting labels, parts and devices. Myroto.comTM – New and improved online quoting and order website with enhanced features to better track and manage die library. Express LaneTM Delivery and Fast Track Manufacturing – Offering more qualifying solid dies for next day shipping and quicker production time. AccuPrintTM EC Print Sleeves - Exclusive manufacturing process creating industry leading dimensional stability and repeat performance. Challenger Solid Die – Specifically designed for Polylith and other abrasive materials. Lasts 2X or more longer and wears better for additional repairs. Expanded Service & Support in Mexico – RotoMetrics now has a new sales and support office in Mexico to help you succeed in your local market.